SNOW has been in Closed Beta since March 2015. We’ve added lots of new features, improved existing ones and polished the overall experience a huge amount. Before the Christmas holidays we were ready to announce the next phase of SNOW: the Open Beta. So, on January 27th the mountain will open to everyone! Everyone at Poppermost is extremely excited to launch the Open Beta and remove all restrictions from accessing the game. We still have lots of ideas about new features and things we can do with the world we've built, and can't wait to start discussing and developing them. We couldn't get to this point without the amazing support from the entire community, so thank you! With only a few extra weeks of development time since we launched 0.6.3, the 0.7.0 Open Beta update (M7) won't be packed with lots of new features but instead will be focused on tweaks, polish and bug fixing. That being said, we have had the chance to work on some exciting new things which you'll learn about closer to the launch once we're ready to make an announcement. Leveling has been tweaked based on feedback from the Closed Beta. By leveling up to level 60 (the current maximum level) you will have unlocked all of the heli drops, a bunch of exclusive branded items as well as a whole bunch of free Credits. We know all of you wanted a way to earn some free Credits, so by leveling up you'll earn enough to purchase a few items for free. To make all of this possible, however, we will be resetting everyone's level and XP. Don't panic, you won't lose anything you've already bought, unlocked or been rewarded! The Store will be getting a big inventory update. Items from old seasons will be either removed entirely, combined into bundles or go on discount. Don't fear - if an item is removed from the store, it will soon be available for trading and selling on the Steam Marketplace. We will be adding over 100 new items from the 15/16 Season from all of our current brand partners, including a few products from new partners too. During the Open Beta we will continue to add more features and content to SNOW. 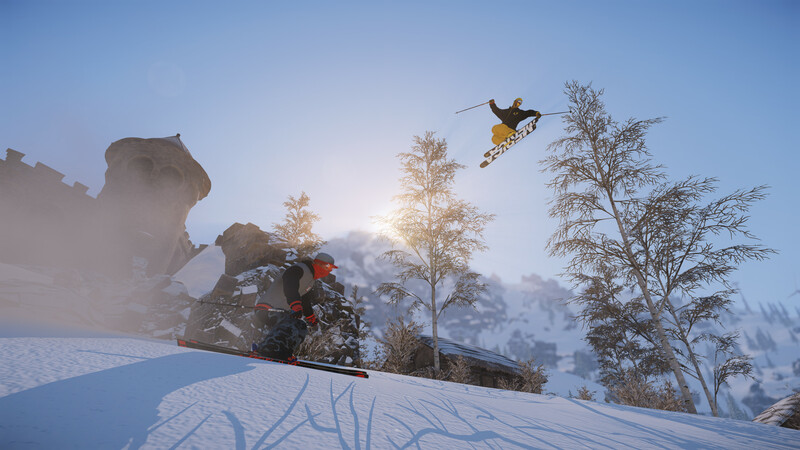 One of our top priorities once the Open Beta is live is to begin implementing snowboarding and shortly after, snowmobile gameplay. We know many of you have been waiting patiently for this point, and are grateful for your ongoing support - it will be well worth the wait! We will also spend a lot more time on multiplayer, improving the stability and features available to players. We've received a lot of great feedback and lots of ideas for what we can do with the game mode so we're excited to start building them. Finally, the Playstation 4 version has become one of our key focuses. We aren't ready to announce anything yet, but we hope to have news soon about when we'll be launching on the console. So... I was thinking to myself yesterday "how cool would it be if someone made a skiing game?" Agreeing with Pere here. Would totally buy this and ingame be able to earn clothes and gear. On another note this game looks and feels very nice even this early. Keep up the good work guys! please work on a game for the Xbox 1 as well. I have been playing the beta on my PC and I can't wait for the snowboarding to open up as I'm not a big fan of skiing.